If you’ve been a part of our group in any way, from coming to Saturday club to reading posts on the Facebook group, then you are a member! Some families are very involved in a lot of our activities, and others prefer to see what goes on from a distance – all are our members and all are equally welcome in our group. And if you aren’t connected to the group in any way already but would like to volunteer your time, effort and skills then a huge thank you! Our charity is purely run by volunteers, most of who are busy parents. It has long been an issue that we have more ideas than we have time to put them in place! If you are able to spare some time to help, then there are lots of ways you can get involved. 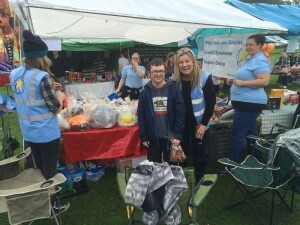 We have committees for all sorts, from training and information to organising the Family Fun Day – joining the group’s private Facebook group to add your ideas is helpful, as is taking part – we always need volunteers and helpers at events, from making the teas and setting up chairs to speaking roles in our training. If you have an idea you would like the group to look at, please share it. You are able to organise your own events or activities (by making a proposal to the trustees) and you are welcome to pass on any ideas you may have for us to consider – please contact Andrea (group secretary) or any of the trustees.